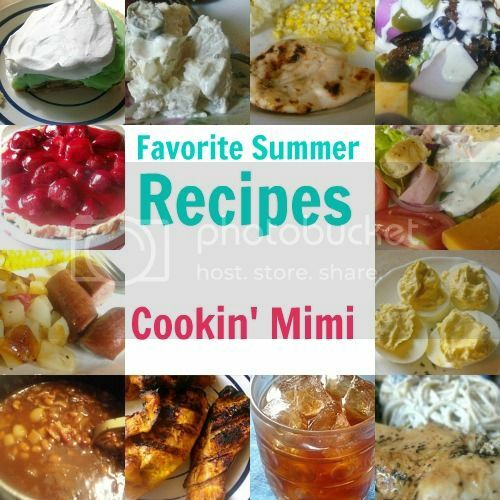 Today I am sharing a dozen recipes already on the blog and some are from way back that are perfect for summer. What are some of your favorite hot weather eats? To help promote your recipes, I posted the link on my blog: http://www.caronrider.blogspot.com. Good cookin! Potato salad, watermelon, garden fresh tomatoes, peaches, fresh corn are just a few! Love all the fresh fruits and veggies of summer! Garden fresh tomatoes are the best. Unfortunately we didn’t get a garden planted in time so were eating store bought.